Romance – Wedding Cake Supplier London. Asian Wedding Cakes London. Big Wedding Cakes London Supplier Company. Handmade flowers luxurious placed for a romantic dreamy display. http://www.designercakesoflondon.co.uk/wp-content/uploads/2014/09/Picture6.jpg 1132 1457 Elaine Rhule http://www.designercakesoflondon.co.uk/wp-content/uploads/2017/01/designer-cake-logo.png Elaine Rhule2014-09-05 10:53:542017-04-02 19:58:54Romance - Wedding Cake Supplier London. Asian Wedding Cakes London. Big Wedding Cakes London Supplier Company. Pearl – Luxury Wedding Cakes London – Wedding Cake Designer. Bespoke Wedding Cakes. Beautiful Wedding Cake. Genelle – Luxury Wedding Cakes London – Wedding Cake Designer. Bespoke Wedding Cakes. Asian Wedding Cake. Pretty yet simple wedding cake ideal for bride aiming for a more simplistic look. Dehlia Luxury Wedding Cakes London – Wedding Cake Designer. Bespoke Wedding Cakes. Asian Wedding Cake. http://www.designercakesoflondon.co.uk/wp-content/uploads/2014/09/Picture1-3a.jpg 1141 1455 Elaine Rhule http://www.designercakesoflondon.co.uk/wp-content/uploads/2017/01/designer-cake-logo.png Elaine Rhule2014-09-03 15:00:412017-04-01 14:14:31Dehlia Luxury Wedding Cakes London - Wedding Cake Designer. Bespoke Wedding Cakes. Asian Wedding Cake. 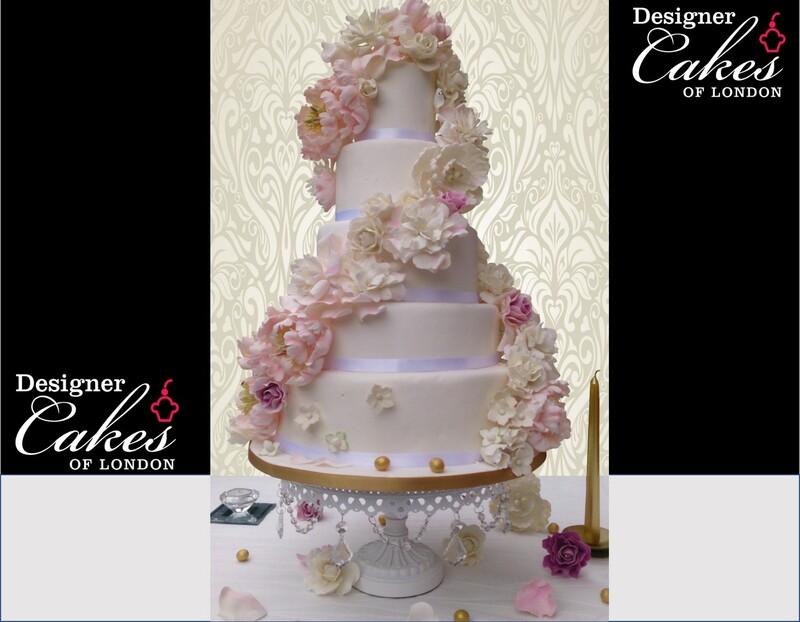 Yvonne – Luxury Wedding Cakes London – Wedding Cake Designer. Bespoke Wedding Cakes. Asian Wedding Cake. Celine – Wedding Cakes London – Wedding Cake Designer. Bespoke Wedding Cakes. Asian Wedding Cake. Beautiful wedding cake completely adorned pearl dots. Luxury satin ribbon drapes the second tier and finished with crafted sugar roses and Lilly of the Valley drapes. Lainy – Luxury Wedding Cakes London – Wedding Cake Designer. Bespoke Wedding Cakes. Asian Wedding Cake. http://www.designercakesoflondon.co.uk/wp-content/uploads/2015/01/Picture4-2.jpg 1140 1455 Elaine Rhule http://www.designercakesoflondon.co.uk/wp-content/uploads/2017/01/designer-cake-logo.png Elaine Rhule2015-01-04 12:07:432017-04-02 09:54:21Lainy - Luxury Wedding Cakes London - Wedding Cake Designer. Bespoke Wedding Cakes. Asian Wedding Cake. Lace Pearl – Wedding Cakes London – Wedding Cake Designer. Bespoke Wedding Cakes. Asian Wedding Cake. Love birds – Wedding Cake Designer London. Bespoke Wedding Cakes. Asian Wedding Cake. http://www.designercakesoflondon.co.uk/wp-content/uploads/2014/09/Picture602.jpg 1129 1456 Elaine Rhule http://www.designercakesoflondon.co.uk/wp-content/uploads/2017/01/designer-cake-logo.png Elaine Rhule2014-09-01 12:26:322017-04-01 13:52:12Love birds - Wedding Cake Designer London. Bespoke Wedding Cakes. Asian Wedding Cake. Robbin – Luxury Wedding Cakes London – Wedding Cake Designer. Bespoke Wedding Cakes. Asian Wedding Cake. http://www.designercakesoflondon.co.uk/wp-content/uploads/2014/09/Picture605.jpg 1140 1456 Elaine Rhule http://www.designercakesoflondon.co.uk/wp-content/uploads/2017/01/designer-cake-logo.png Elaine Rhule2014-09-05 10:53:422017-04-02 10:53:29Robbin - Luxury Wedding Cakes London - Wedding Cake Designer. Bespoke Wedding Cakes. Asian Wedding Cake. Berry – Luxury Wedding Cakes London – Wedding Cake Designer. Bespoke Wedding Cakes. Asian Wedding Cake. Pearl drape – Luxury Wedding Cakes London – Wedding Cake Designer. Bespoke Wedding Cakes. Asian Wedding Cake. Sandra – Luxury Wedding Cakes London – Wedding Cake Designer. Bespoke Wedding Cakes. Asian Wedding Cake. Peggy and Marina – Luxury Wedding Cakes London – Wedding Cake Designer. Bespoke Wedding Cakes. Asian Wedding Cake. http://www.designercakesoflondon.co.uk/wp-content/uploads/2014/09/Picture7.jpg 1126 1455 Elaine Rhule http://www.designercakesoflondon.co.uk/wp-content/uploads/2017/01/designer-cake-logo.png Elaine Rhule2014-09-01 12:27:202017-04-02 17:46:04Peggy and Marina - Luxury Wedding Cakes London - Wedding Cake Designer. Bespoke Wedding Cakes. Asian Wedding Cake. Birdcage – Luxury Wedding Cakes London – Wedding Cake Designer. Bespoke Wedding Cakes. Asian Wedding Cake. Lacey – Luxury Wedding Cakes London – Wedding Cake Designer. Bespoke Wedding Cakes. Asian Wedding Cake. Simplistic wedding cake covered with falling hydrangeas finished with a single peony. Design can be presented with your flower choice or without the peony flower.